It is no secret that we live in a mobile world. And it the rise of consumer driven mobile apps and devices only feeds the demand for B2B related applications. Mobile is the new normal. 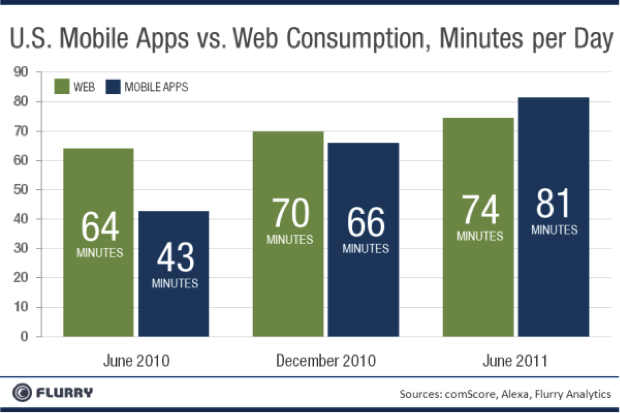 Flurry Analytics has gathered data surrounding the amount of time consumers spend on mobile apps versus web browsers. In their findings they discovered that the average consumer spent more time on mobile apps than on web browsers during June 2011 than during June 2010.